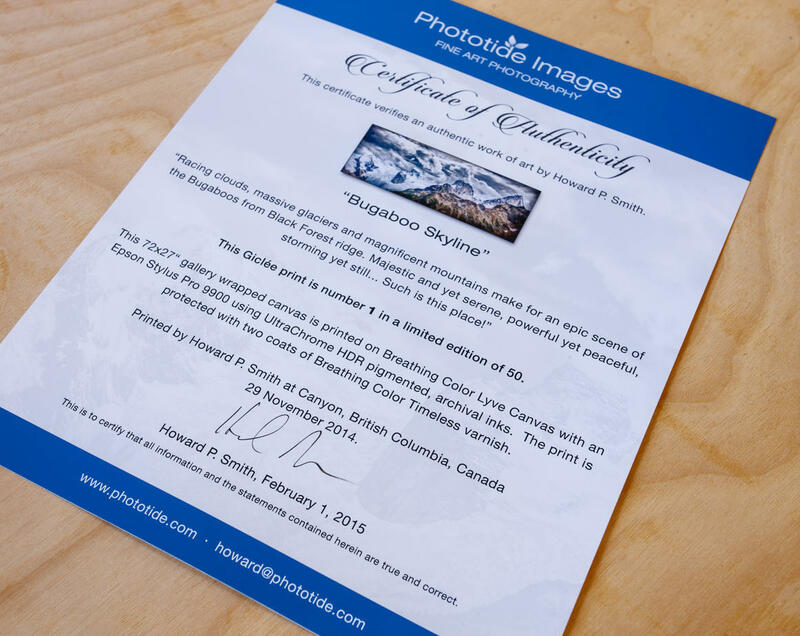 The printing is as important as the photography itself and that's why we do it ourselves. 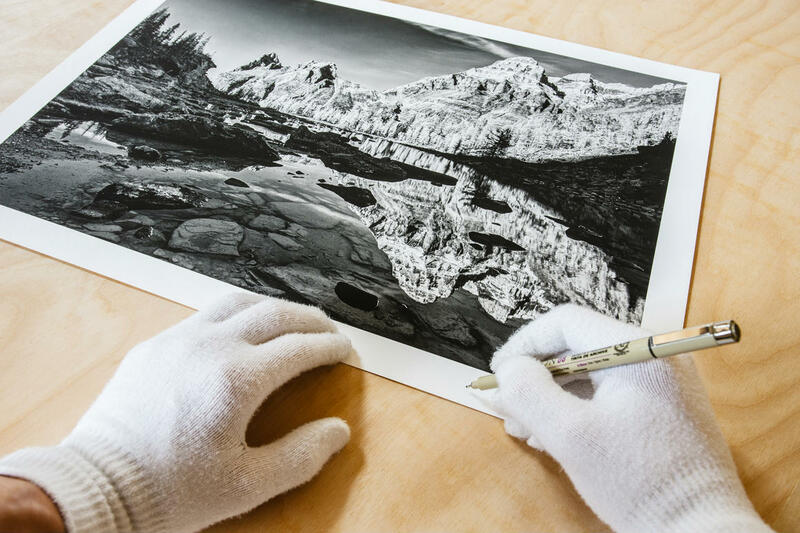 Using the best materials and equipment, we handcraft each piece to ensure it expresses the beauty and wonder we feel in the mountains. 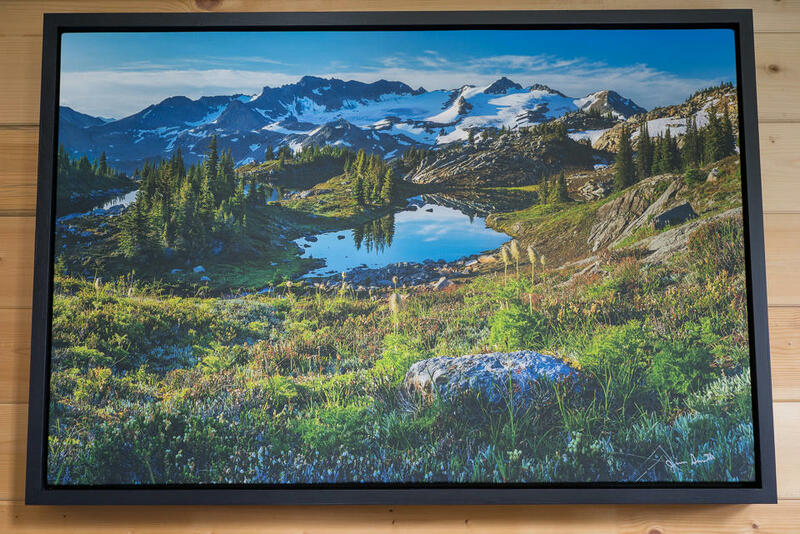 Accent your wrapped canvas with a floater frame. 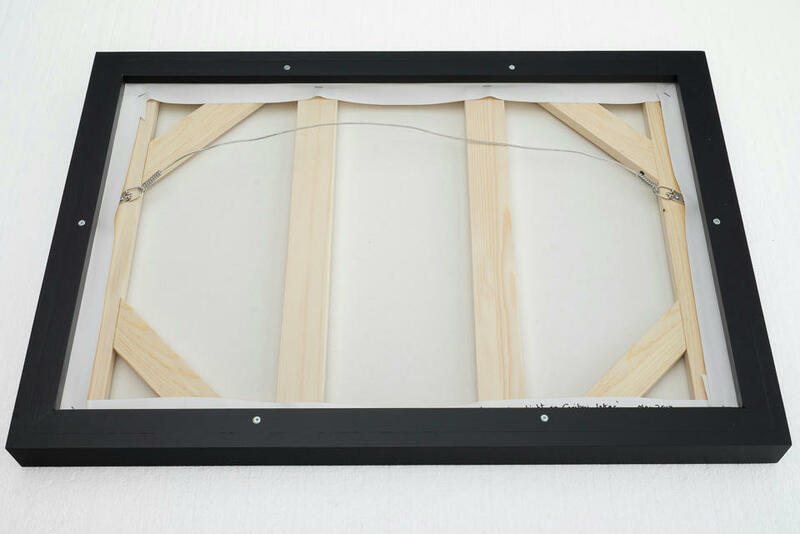 This method is the same as wrapped canvas with the addition of our hand made black frame around the photo. 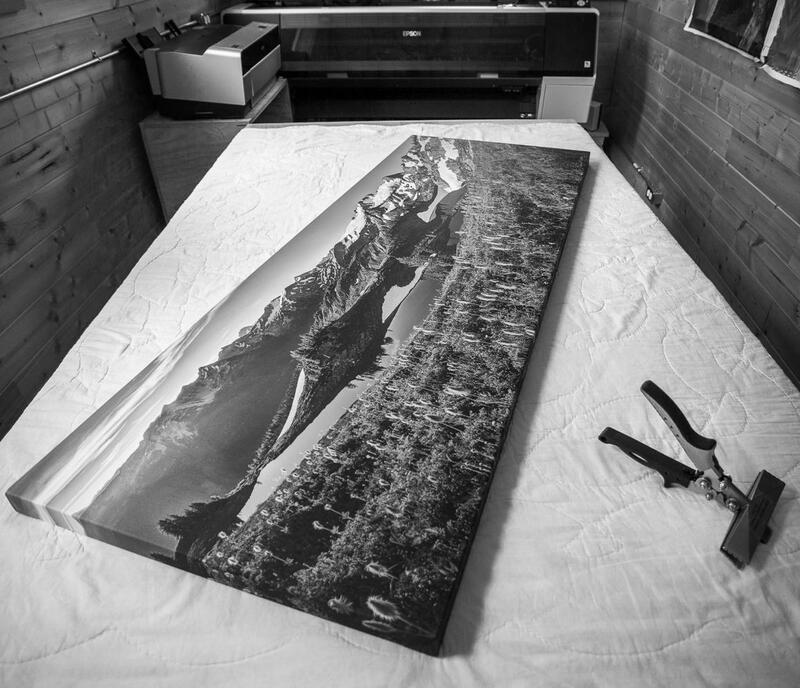 Each paper print is printed by the photographer using 100% cotton archival fine art paper. 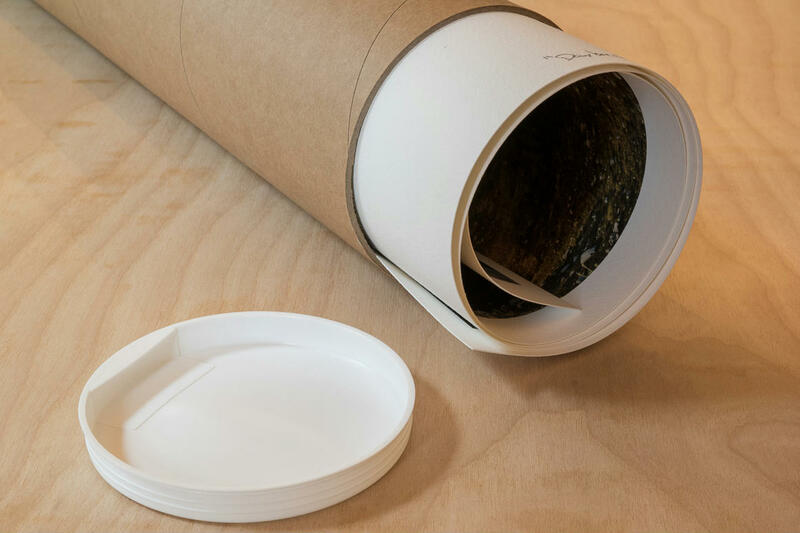 We ship your paper print rolled in a special shipping tube. 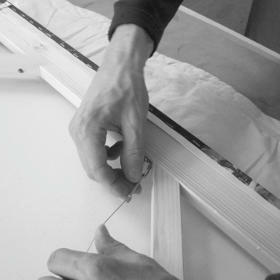 Your local frame shop can mat and frame the print to your specifications. 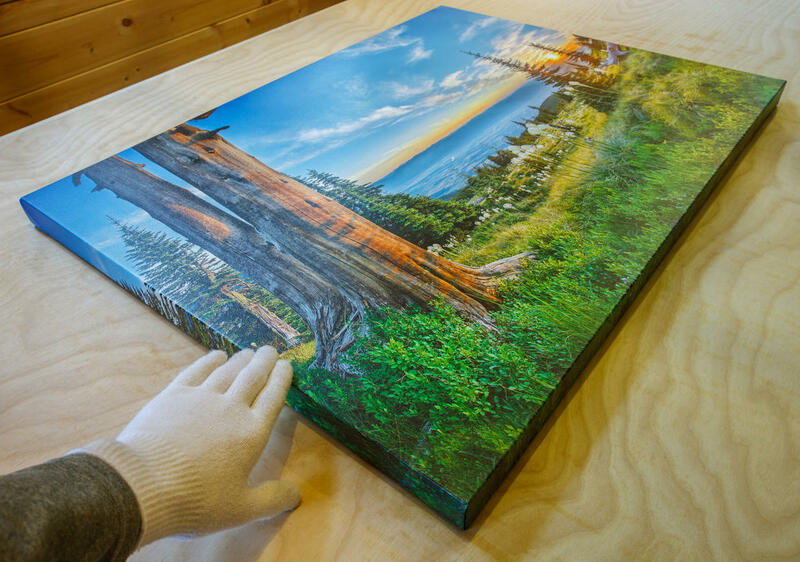 Each canvas print is printed by the photographer using archival certified fine art canvas. We ship your canvas rolled in a special shipping tube. 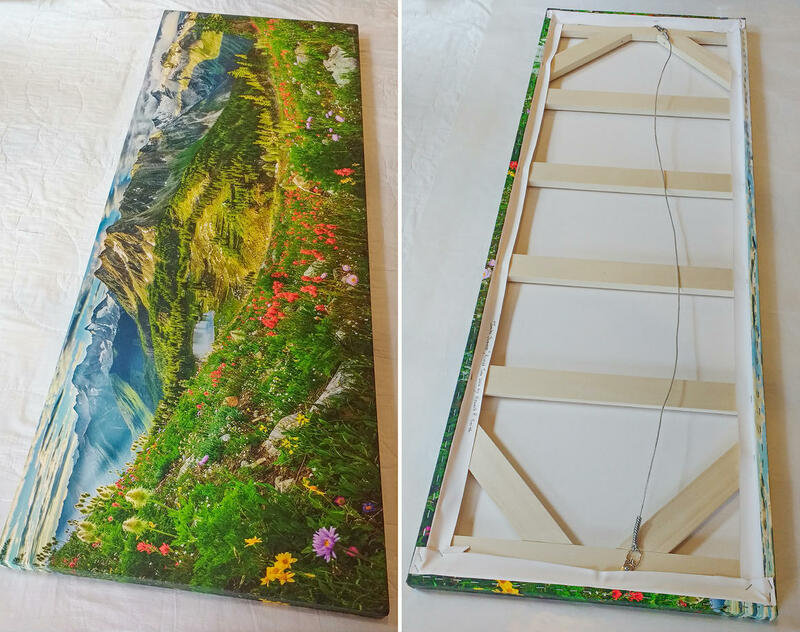 Your local frame shop can stretch your canvas over a wood strainer-bar frame. 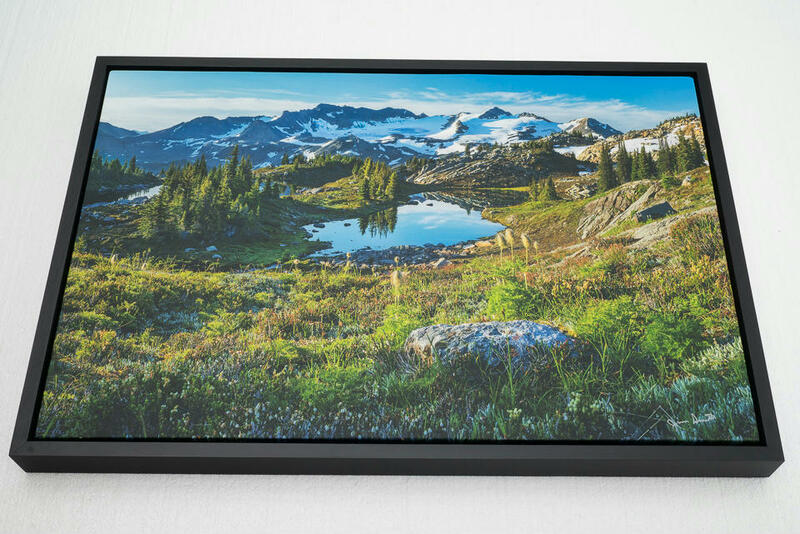 The canvas print has 2" of mirror on each edge so that the printed image wraps around the edge of the strainer-bar. Select images in our gallery are sold as Limited Editions only. These prints have a unique number and a certificate of authenticity. 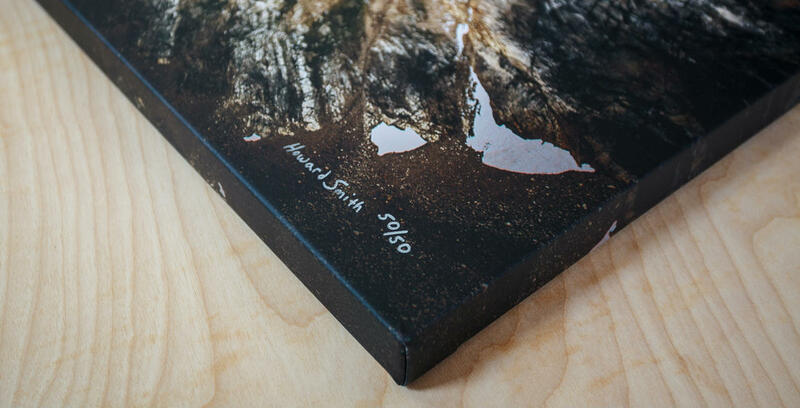 We trust you'll be happy with our prints. To help assure you, we offer a full refund return policy if you are dissatisfied for any reason. Simply return the print within 30 days. Email us regarding any problems and to arrange for shipping. North America: Free shipping to the continental USA and Canada. Your purchase will arrive at your doorstep. For shipments within Canada we use FedEx courier service. For shipments to the continental USA we use FedEx and UPS. Your picture is protected by multi layers of bubble wrap and a custom cardboard box. Your investment will safely arrive at your doorstep. 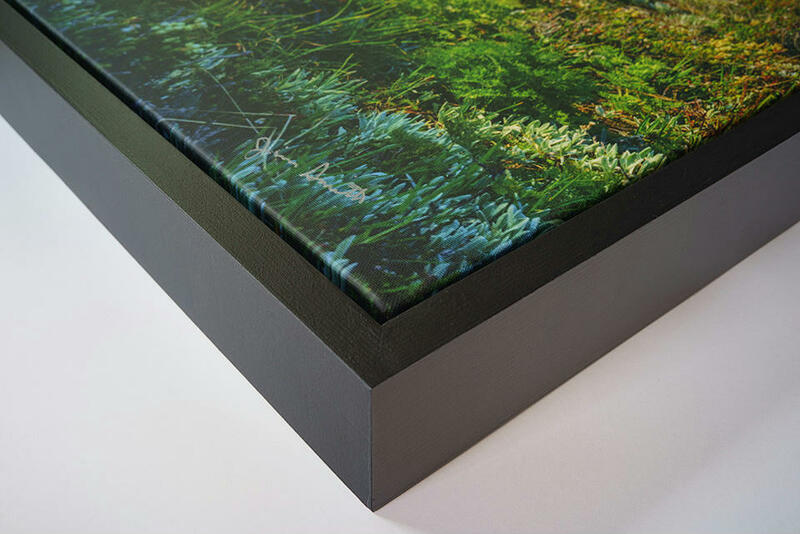 This box shipped a 72x26" gallery wrap canvas. 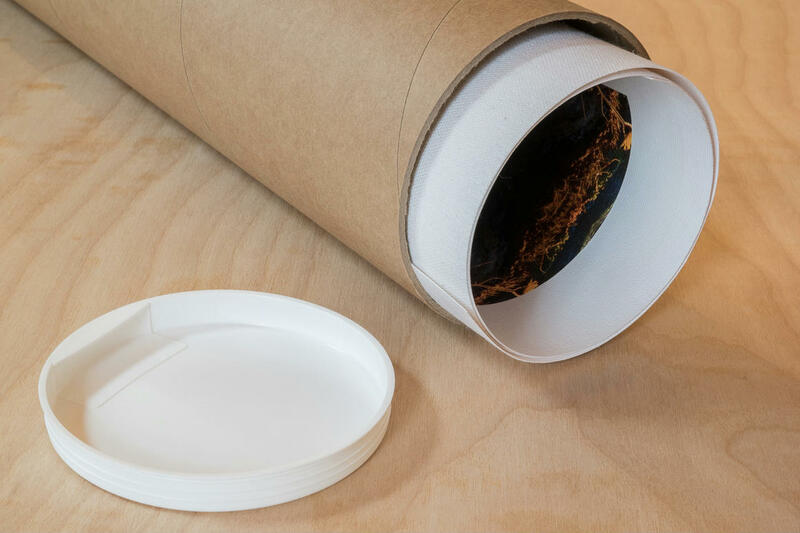 Below is a paper print in it's shipping tube. 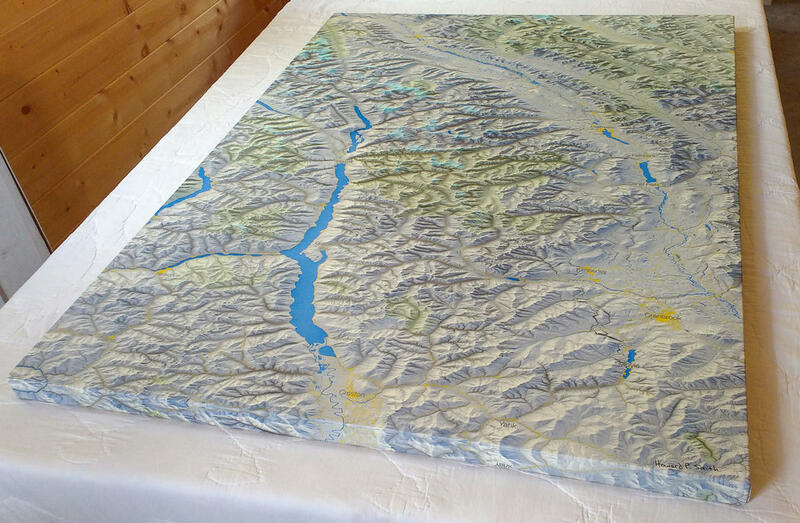 Before shipping the print is rolled along with a ph-neutral glassine paper to protect the print surface. After rolling, the print is put in to a heavy duty plastic bag to protect it from any moisture in transport. The print is then put into the tube. 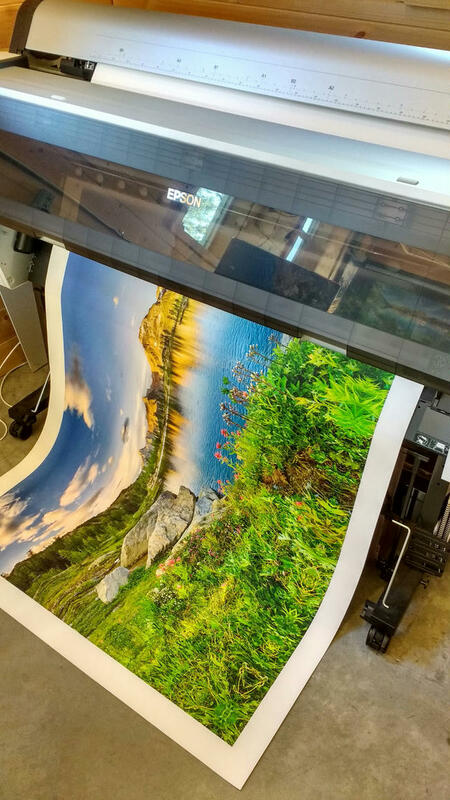 We're happy to talk with you about your print choices and answer any questions you may have. Each of the photos on this website show available sizes and pricing. If you have a specific print size that is not listed we are happy to quote you a price. Also, there is a quick contact form if you prefer. 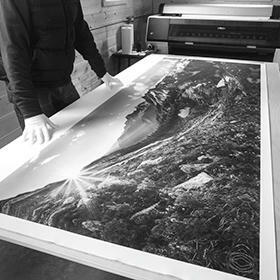 You receive craftsmanship that comes only from the photographers creating the print and assembling the picture themselves using the highest quality materials. It's handmade, not mass produced. Check out our blog for details. 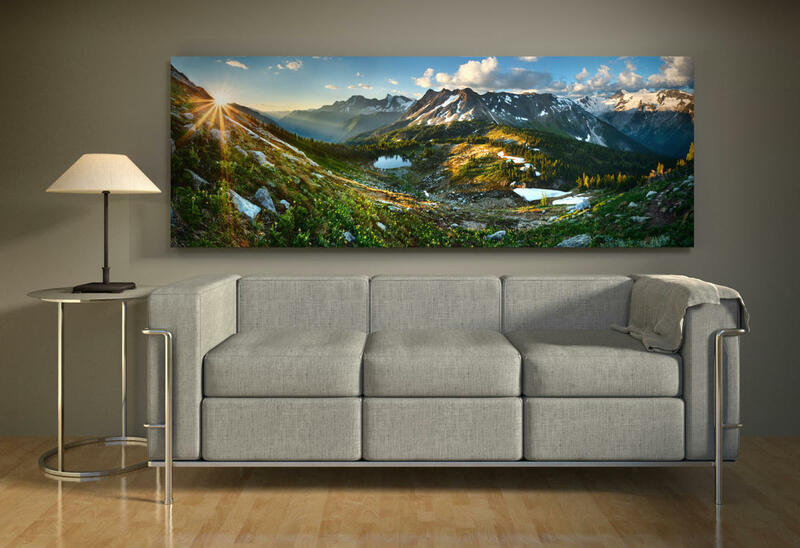 It's a personalized service which helps you select a photo that fits with your home or business decor. Discuss your ideas with us. We're happy to work with you to select a photo that fulfills your dream. 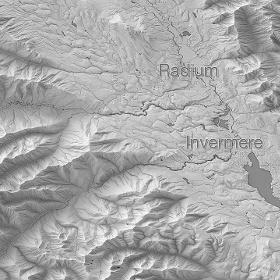 We're a family business located in the heart of the Canadian Rockies. Sharing our love for these beautiful mountains through photography is our passion.